(Governor's Harbor) Almost connected to Belmont House the Junior cottage is the perfect Guest Cottages for a couple. The Junior Cottage consists of one master bedroom (king size mattress), with sea view and en-suite bathroom with shower. Amenities include flat screen TV, air conditioning, ceiling fan, wireless internet and cordless telephone. There is also a separate outdoor patio with sea view. 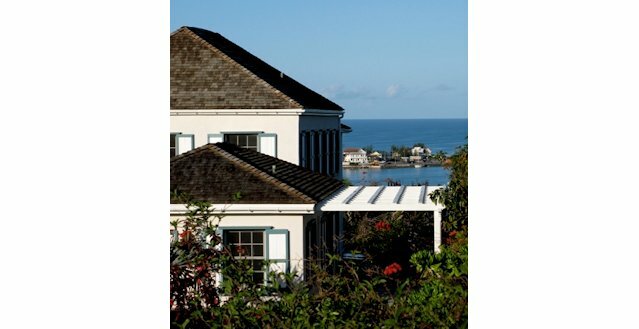 (Governor's Harbor) The Cottage at Squires Estate provides a spectacular view of the Harbour and Cupid Cay. The Cottage consists of one master bedroom (king size mattress), en-suite bathroom with extra large shower. Amenities include indoor living area with mini-bar, flat screen TV, air conditioning, ceiling fan, wireless internet and cordless telephone. There is also a separate outdoor patio with sea view. We know there are times when you won’t need 4 bedrooms and are looking for a more intimate vacation. For these occasions, Sky Beach Club offers luxuriously appointed private bungalows overlooking our oceanfront amenity area and just steps from the beach. This is perfect for the honeymoon couple looking for something luxurious and available with catering or without. (Governor's Harbor) Belmont House consists of a two level main house and two guest cottages that can be rented with the house or separately. All houses feature traditional Bahamian architectural style, tastefully decorated modern interiors and top of the line furnishings, hardwood floors, high ceilings, amenities and appliances. The modern airy peninsula kitchen is fully equipped with top of the line stainless steel appliances (refrigerator, dishwasher and Bosch oven). 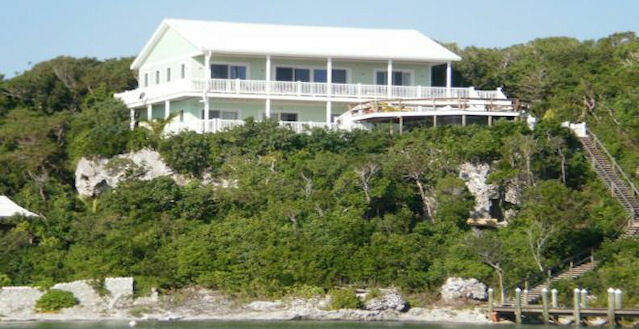 (Governor's Harbor) Mrs. Russel's House consists of three master bedrooms. Two rooms contain king sized beds and one room contains two full beds. 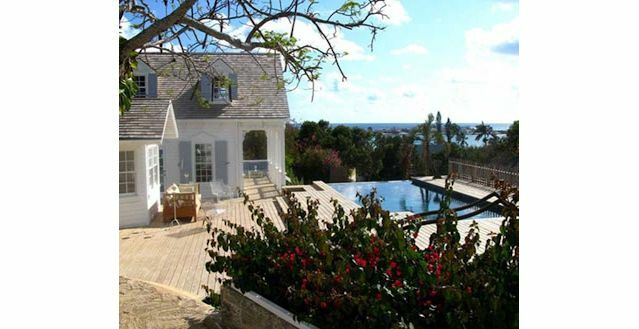 The house has a living room, dining room, fully equipped island kitchen, and terrace. The furnishings include state of the art appliances, flat screen TV, air conditioning, ceiling fan, wireless internet and cordless telephone. This two-story, three-bedroom villa has a jaw-dropping view of the ocean to the south and an amazing view of the bay to the west. The house has the master bedroom on the ground floor and two guest bedrooms on the second story. Inspired by one of David Flint Wood’s works, the house seeks to emulate the Empire Loyalist wooden architecture of the historic part of Dunmore town peppered with all the modern amenities. 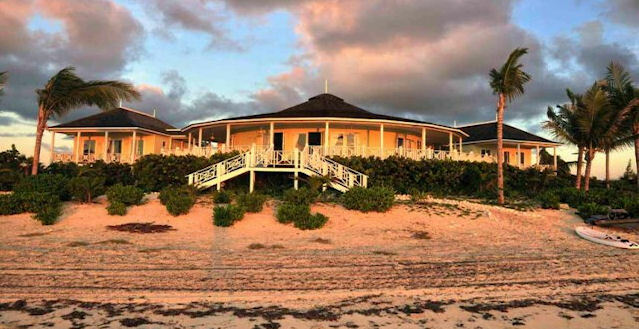 Lubbers Cliff Top Luxury is located on Lubbers Quarters Cay, a small island between Great Abaco Island to the west and Elbow Cay and Tilloo Cay to the east. Hope Town on Elbow Cay with its candy striped lighthouse is probably Abaco's most well known place. Designed by award-winning García Stromberg architectural firm, this estate sits on 23,000 square feet of land and consists of a three-bedroom, 2.5 bathroom main house with panoramic views of the beach and the bay, a beautifully landscaped private outdoor courtyard with an open-air sitting area with fire pit and a private pool. It has a 723-square-foot, one-bedroom, one bathroom guest cottage as well. Ocean House welcomes you with fully air-conditioned spacious rooms, and a private swimming pool with plenty of outdoor patio space to relax and enjoy. Enjoy La Dolce Vita at Dolce Vista, a four bedroom home that offers the best of indoor/outdoor living on Harbour Island’s famous pink sand beach. Put your feet up, relax and enjoy a book on our lovely pink sand beach. Or you can find food, solace and the beverage of your choice at the Bistro, with a full-service swim-up cocktail bar. Sky Beach Club seamlessly blends modern amenities with the splendor of unmatched natural beauty and excellent service. Our 3,200 sq. ft. elegant four-bedroom villa features an abundance of glass to capitalize on the breathtaking views. Every detail is dedicated to modern luxury, comfort, and total privacy. 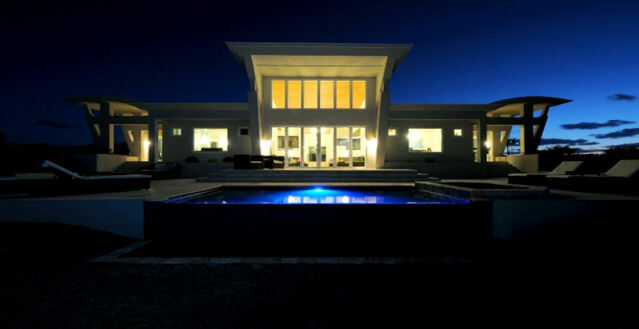 This contemporary one-level home features 4 bedrooms and 4 bathrooms, with a spacious living (great room) and dining room that opens up to the back patio featuring a private infinity edge pool & spa. Feel the cool breezes as you relax on your spacious patio. Yellow House is located in a small exclusive community of homes called Governor’s Estate. The villa’s living areas open to gracious wrap-around verandas and a private swimming pool, offering the serenity of island life. (Governor's Harbor) Welcome to this little piece of Heaven on Earth. You can Rent this private beach front estate with 5 beautiful bedrooms, 5.5 bathrooms and1,000 feet of beautiful pink sand beach! The estate is 4,000 square feet including a king-sized master bedroom suite with an en-suite private bathroom, a queen-sized suite, full-sized suite, fully equipped kitchen, dining room and a spacious living room. The interiors are fashionably styled and spacious. 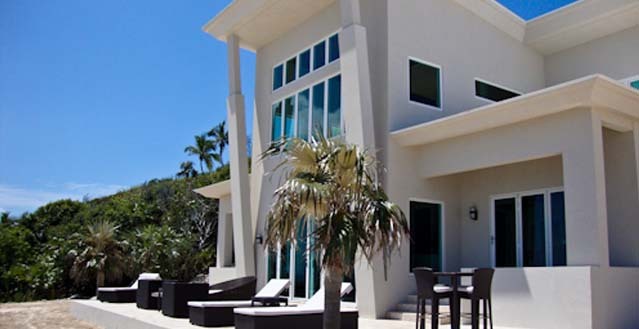 Seven Palms is an Ocean Front Vacation Rental Estate, situated on 30 acres, with a 1,200 ft. private pink sand beach. Completely secluded and safe, our property is hills of rolling silver palm forest, powder-like pink sand, and crystal clear waters. Coral reefs nestled nearby the shoreline make a great attraction for snorkeling, and the warm waters of the Atlantic Ocean makes a pleasant mineral bath. Imagine! Going on vacation and feeling right at home in your own corner of paradise. Beaches Estate Bahamas combines tropical luxury with an unspoiled, pristine beach right in your own backyard. 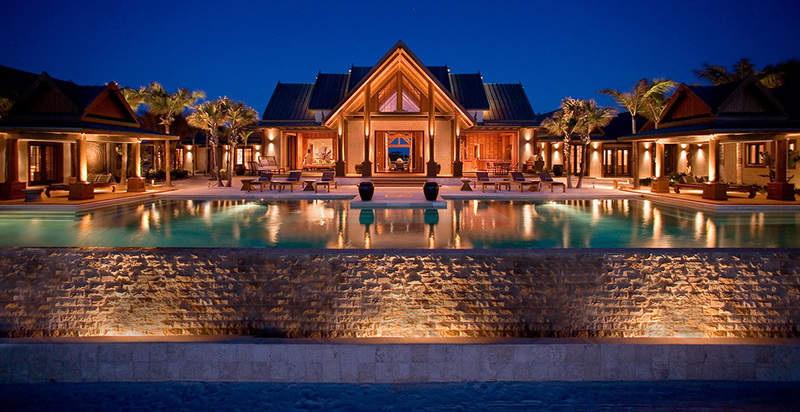 When you arrive at Beaches Estate Bahamas, you will know right away that this is something unique and beautiful. 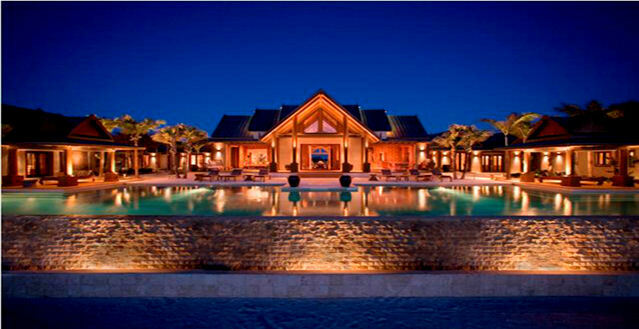 La Palmeraie oceanfront villa is the newest and most luxurious beachfront property in Harbour Island. La Palmeraie lies on a stretch of pink sand beach and is set amidst a lush tropical landscape, creating an ambiance of luxury and elegance. This Private Island is a 96-acre private island hideaway with three miles of sugar-soft sandy beach stretching along its eastern shore just off the coast of Andros Island in The Bahamas. This barrier island is accessible only by our own private ferry or seaplane. This Private Island is the perfect choice for guests who value elegance, adventure, privacy, and the romance of a unique Caribbean experience. Musha Cay and the islands of Copperfield Bay, located in the quiet Exuma chain in the Bahamas, is perhaps the most luxurious and most private island resort in the world. 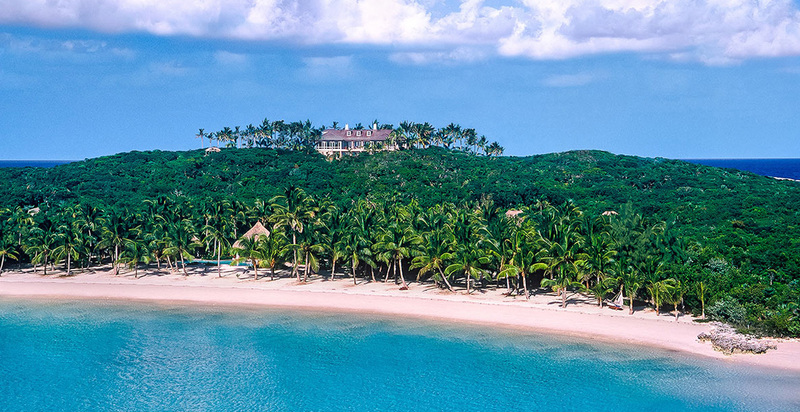 Not only is the whole 150-acre island reserved for one party at a time, the neighboring islands have been acquired by Musha Cay’s owner and have been kept totally uninhabited. Further, the waters around Musha Cay are strictly out of bounds for outsiders. Welcome to Wax Cay, where rustic and barefoot luxury go hand in hand. We are excited to welcome full island rentals for parties of 4-30 guests. In the heart of New Providence Bahamas, only 10 minutes from Nassau is Lyford Cay where you will find Serendip Cove.. A magical home tucked into the exclusive corner of Clifton Bay, with more than 600 feet of beachfront, this private estate is filled with character and charm. 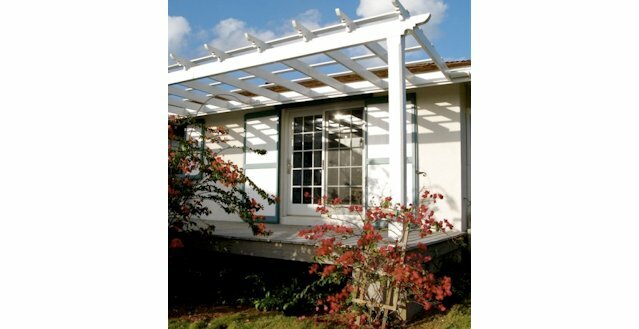 Dotted around the Eastern perimeter of Fowl Cay are six gorgeous villas for you to use as your home away from home in the Exumas. Our one, two and three-bedroom villas all have fully equipped kitchens that are stocked with breakfast, lunch and snack items before your arrival (all included in the price). The Bahamas is found just 50 miles South of Florida, most do not realize that the Bahamas is not just one single island but a collection of 700 islands that are strewn across the ocean like little pearls bound together by one commonality, their heritage and cultures. The most famous of the Bahamas Islands are Nassau and Paradise Islands, Grand Bahama Island, and the Out Islands (which are really the rest of the islands). These islands are most know to adventurers who like the private island beaches, the snorkelling, and the exploration of the really remote locations that offer privacy for those seeking a little more of their own “private island” feeling. Homes here can be beachfront, oceanfront, or can be on the hill depending on what you are looking for. 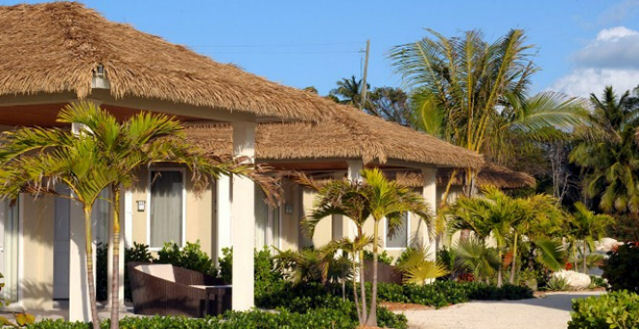 The Bahamas offers great vacation rentals for people looking for a really special type of home. 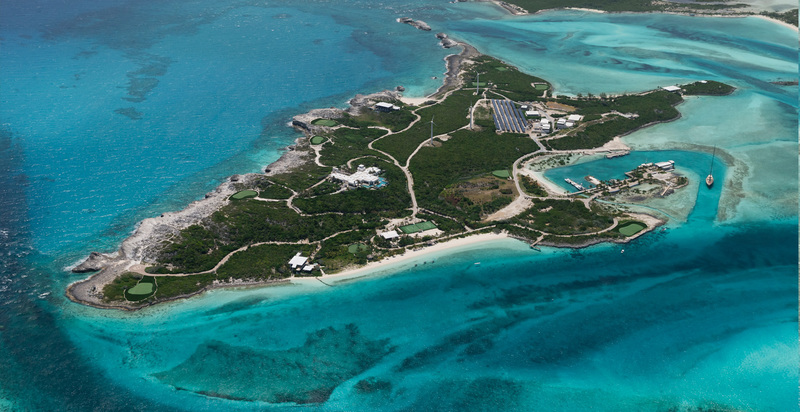 Get married here or just chose to come on vacation, there are some amazing explorations to be had in the Bahamas.